With all the knowledge about body fat on our weight and health, we tend to adopt weight loss programs and do not stop till we get rid of the last strain of fat from our body. But in spite of having bad reputation, fats are essential to protect vulnerable parts of our body. They also disseminate vitamins A, D, E, and K, that keep the hair and skin healthy. They play a major role in maintaining warmth in the body. However, they can also lead to increased levels of cholesterol and heart disease, and possibly cancer and weight gain as well. What to do then? Just balance you body fat but before knowing the tips for balancing body fat, first make the basics clear- know what are the types of fat so that you can keep the good ones and leave the bad ones. 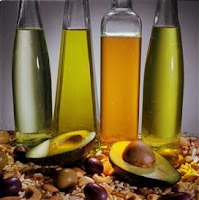 There are many types of fats- Saturated Fats, Monounsaturated Fats, and Polyunsaturated Fats. Saturated Fats: In them, carbon atoms are saturated with hydrogen atoms. They raise the level of cholesterol in your blood which leads to heart disease and stroke. They mainly come from animal sources, like meat and dairy products including fatty beef, lamb, pork, poultry with skin, beef fat, lard and cream, butter, cheese etc. Some plant foods like palm oil, palm kernel oil and coconut oil also contain saturated fats, but they do not contain cholesterol. Monounsaturated Fats: are simply fats having one double-bonded (unsaturated) carbon in the molecule. They can have beneficial effects on your health but when taken in moderation. They help in reducing bad cholesterol levels in blood and lower the risk of heart disease and stroke. They also provide nutrients needed for growth of body’s cell and have high levels of vitamin E. Foods high in monounsaturated fats include vegetable oils such as olive oil, canola oil, peanut oil, sunflower oil and sesame oil. Other sources include avocados, peanut butter, and many nuts and seeds. Polyunsaturated Fats: have more than one double-bonded (unsaturated) carbon in the molecule. They too can have beneficial effects on health, reduce cholesterol levels in blood and lower the risk of heart disease, if eaten in moderation. They have certain fats like omega-6 and omega-3 required by body but can't be produced by itself. Vegetable oils, including soybean oil, corn oil and safflower oil, as well as fatty fish such as salmon, mackerel, herring and trout, some nuts and seeds like walnuts and sunflower seeds are high in polyunsaturated fat. How to Balance These Fats? Eating foods that contain a higher level of unsaturated fats than saturated fats can lead to reduced blood cholesterol levels. Limit the consumption of saturated fats to less than 7% of total daily calories. If you need about 2,000 calories a day, only 140 of them should come from saturated fats. Replace foods high in saturated fats with foods high in monounsaturated and/or polyunsaturated fats. Eat foods made with liquid vegetable oil and avoid tropical oils. Eat fish and nuts. Replace considerable amount of meat with beans or legumes. Eat more of those foods that are naturally low in fat, such as grains, fruits and vegetables. Avoid fried, spicy, junk and processed food items as well as bakery food. Avoid tinned food. If eating them, check the label to find their saturated fat content which should not exceed 20 %. Ensure you take only one-teaspoon of oil for a meal. Exercise regularly. Practice of Yoga is good for over all health and not only for balancing body fat. If you have already gained a lot of weight then try these Innovative Ways for Weight Loss.